President Donald Trump is set to stump in southern Illinois for U.S. Rep. Mike Bost. Will Gov. Bruce Rauner be in attendance, and will the president tone down his rhetoric in the wake of more than a dozen pipe bomb packages discovered this week addressed to former President Barack Obama and others? And, as CNN boss Jeff Zucker says, does the tone from the top contribute to incivility – and possibly incite violence? Rauner releases a controversial ad that some are calling homophobic. In nationally watched Congressional races, incumbent Republican Randy Hultgren shows a slight edge over his Democratic challenger, Lauren Underwood. But the 6th Congressional District is in play with U.S. Rep. Peter Roskam and Democratic challenger Sean Casten reach new low with bickering over compliments for gay columnist Dan Savage. Meanwhile, campaign workers for Democratic gubernatorial hopeful J.B. Pritzker deny their discrimination lawsuit has nothing to do with politics, but haven’t served him yet. In the mayor’s race: Grammy-winning rappers Kanye West and Chance the Rapper donate and stump for mayoral long shot Amara Enyia. Mayoral candidate Bill Daley calls for term limits after his father and brother held the office of mayor for a combined 43 years. And Lori Lightfoot accuses Toni Preckwinkle of trying to bully her out of the race – a charge Preckwinkle denies. And in sports, can the Bears bounce back after two straight losses – especially with star defensive player, Khalil Mack, hobbled? 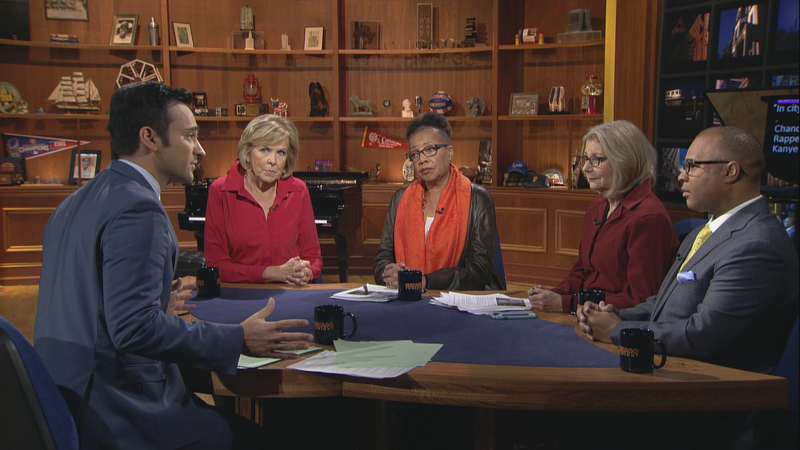 The conversation continues in our web-extra video: The public weighs in on the police reform consent decree, but will it impact the final agreement? And Chicago’s new mayor will have to deal with negotiating a new police contract, firefighters’ contract and teachers’ contract. Will Susana Mendoza run for mayor after her re-election bid for comptroller in November? She says it depends on who’s governor.